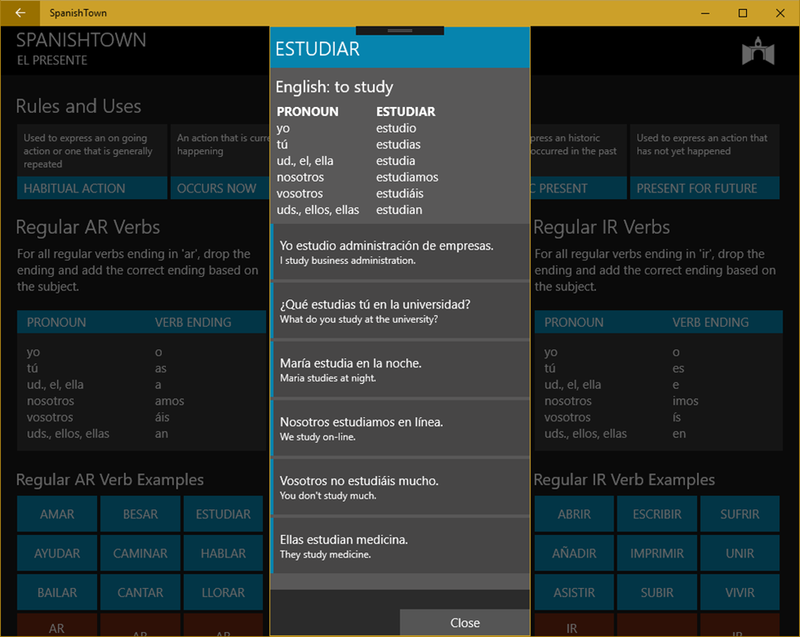 We have been working hard to bring you the best Spanish app for students available on Windows 10. Our latest update includes an updated look and the addition of the imperative. 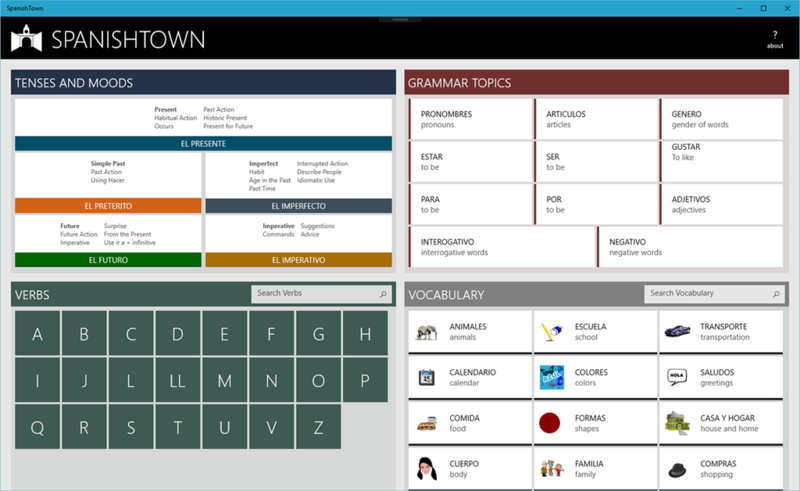 SpanishTown is also available for Educational institutions via the Windows Store for Business which allows administrators to find, acquire, manage, and distribute apps to Windows 10 devices. 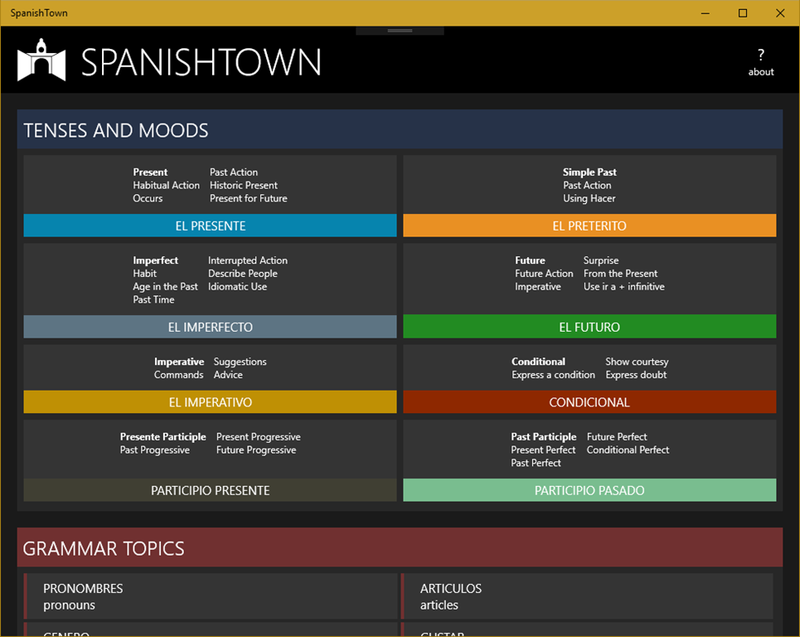 We are pleased to announce the public availability our new SpanishTown App for Windows 10 devices. Try it now for FREE! We are so happy with the app’s progress so far that we have decided to make the beta available now. In fact, we are so confindent, we are willing to give you a 7 day free trial with no strings attached. Not only do we offer a free trial, we are having a Beta launch sale until the end of December. Present, Preterite, Imperfect and Future – each full with verb examples for regular, irregular and verbs that change. 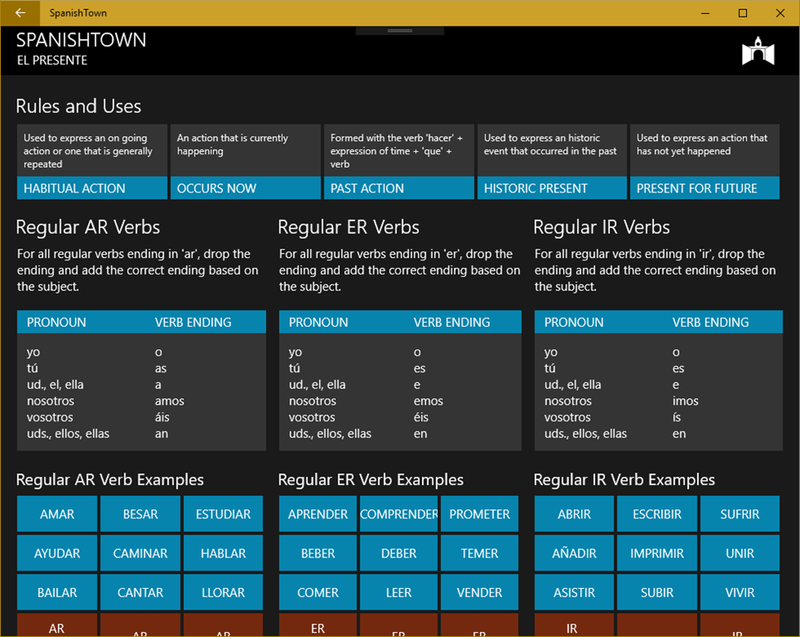 Includes sample sentences with audio for all the example verbs. 2600+ quiz and worksheet questions to test your knowledge of verbs and give you some practice before a big exam. 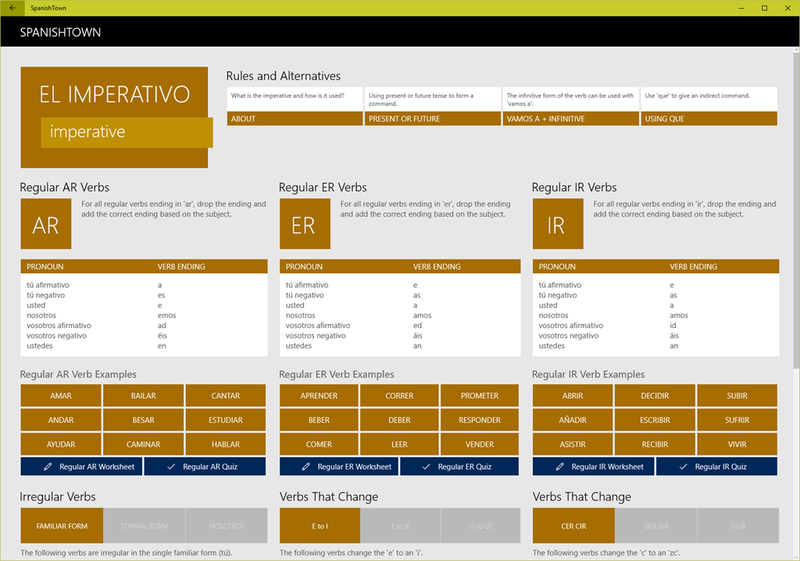 300+ verb conjugations for the most common verbs. 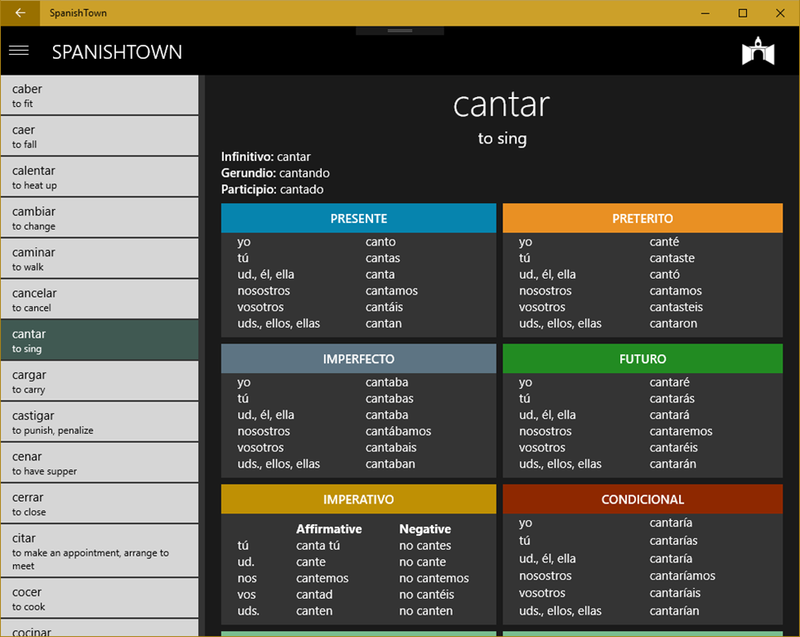 Search by alphabet, English or Spanish. Vocabulary – hundreds and hundreds of common words sorted by categories, with audio and fully searchable. Grammar topics – ser vs estar, por vs para, pronouns, articles, using gustar, gender of words, interrogative and negative words. Learn to tell time in Spanish and count. 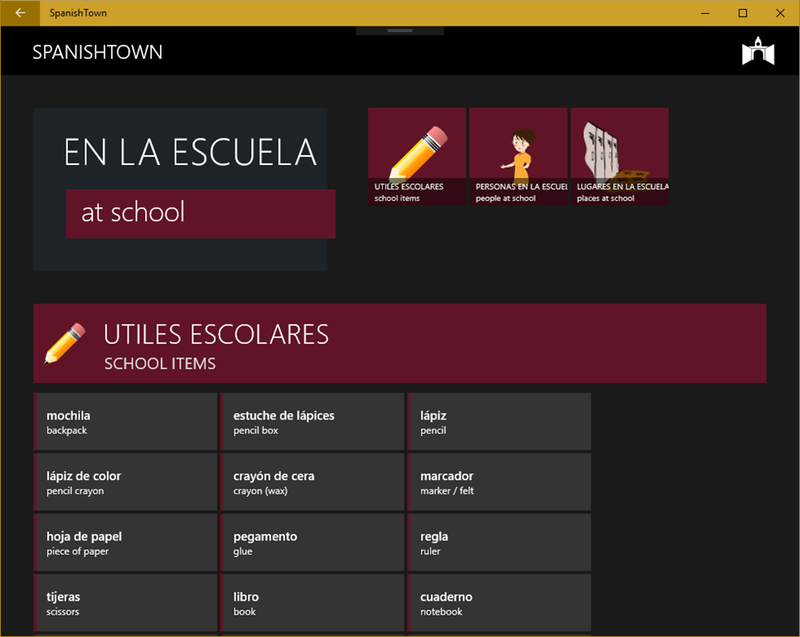 We have designed our SpanishTown App for students currently progressing through their Spanish courses. 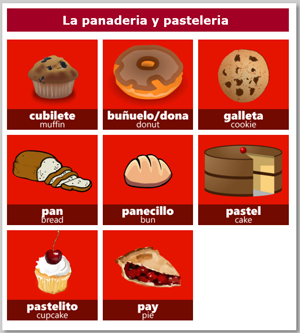 Whether you are starting at the junior high level, senior high or college, you can use our app to help you achieve success throughout your Spanish language learning. 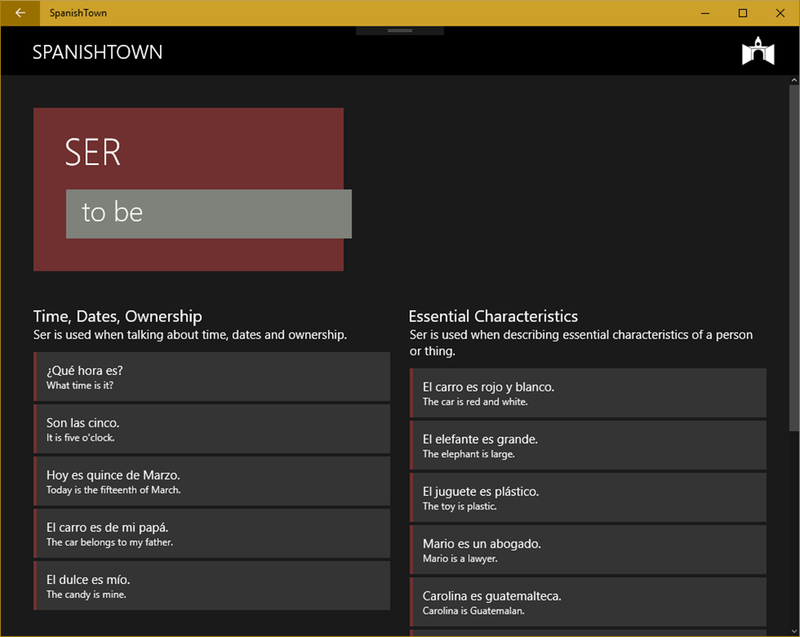 SpanishTown will grow with you as you progress.